CANADIAN DEFENCE MATTERS: WHAT IS THE FUTURE FOR THE CANADIAN ARMED FORCES? WHAT IS THE FUTURE FOR THE CANADIAN ARMED FORCES? 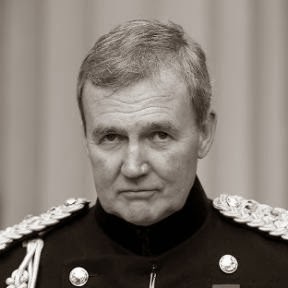 On December 18, 2013 General Sir Nicholas Houghton, UK Chief of the Defence Staff gave a much commented upon speech on the future of the UK Defence forces. While Sir Humphrey at the Thin Pinstriped Line parsed the speech looking for clues as to future intentions, Mark Collins at the 3D's Blog saw relevance to Canada’s defence needs. Of interest to Canadian Defence Matters was General Houghton’s point that UK Defence force no longer faces the kind of existential threats once posed by the Red Army and the Soviet Empire. It could be argued that in some ways European militaries now face the same situation that has informed Canadian military thinking for most of its existence. Like Canada other forces must now justify their existence, and drain on the public purse, as a non specific “insurance policy” and as a kind of superior multi-national constabulary. It is telling that General Houghton remarked so favorably on the previously little cared for roles of UN sanctioned peace keeping deployments. How nice it would be for Canada if we could look forward to a review of some kind in the near future. Even without the review, however, the debate will be joined at some level. It would appear that the leadership of the Canadian Armed Forces has decided upon the “few but good” option and is willing to cut numbers to maintain training and maintenance budgets. As important as the advice cabinet gets from our military professionals is, in the final analysis it is a political decision. If the government wishes to pursue a policy of “lots but cheap” they should say so, justify it, and re-align Defence priorities to reflect that policy. In general, Canadian Defence Matters is not opposed to the idea of a larger but less capable force. An anathema to the professionals who guide our forces, and who, never forget, will send our young men and women into danger, it is none the less a viable option for Armed Forces on tight budgets. Particularly if the nation that supports them is willing to accept the lower expectations that must accompany lowered abilities.